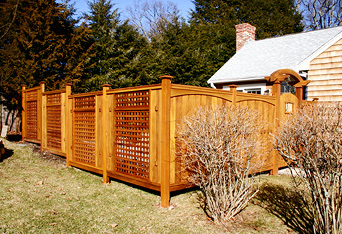 An Asian style fence was created to enclose the back yard of this home. 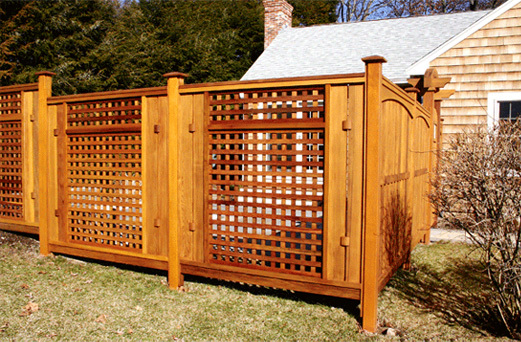 Two configurations were used in this design: the solid paneled sections were to ensure total privacy from the street side, while the lattice sections offered an element of openness for the side facing the yard. Additional images of this project, including a custom gate, can be seen on the Asian Arch and Gate No. CG3 page.